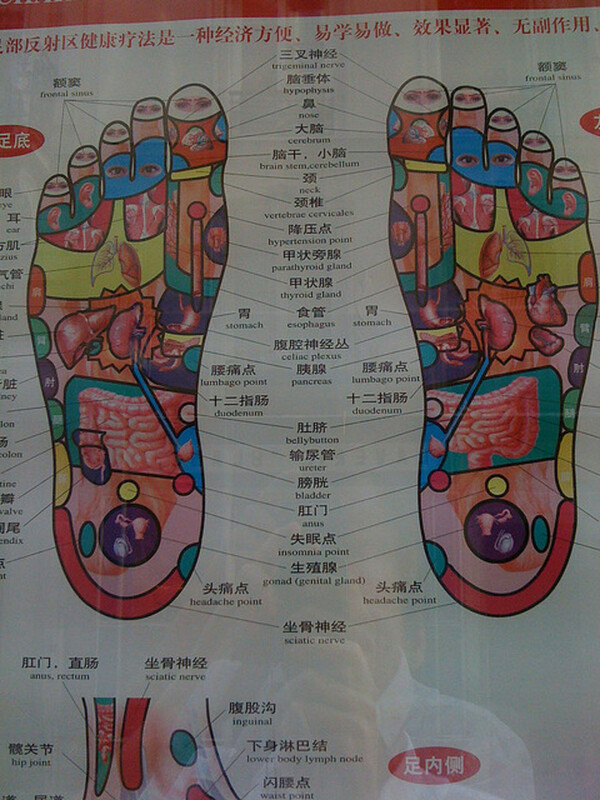 A standard foot reflexology chart. Reflexology is a term used to describe a method of pressure massage which mainly targets the feet and hands. 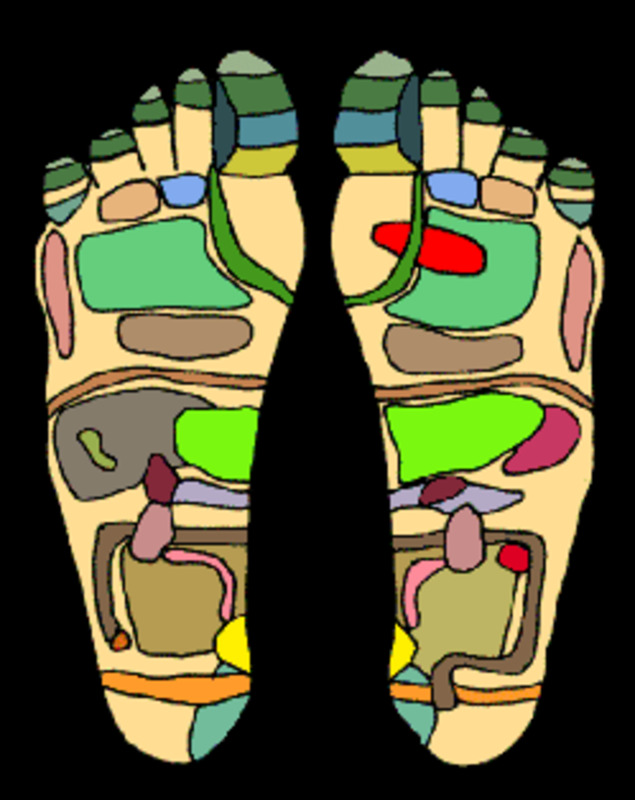 Foot reflexology is one type of reflexology where pressure is applied to regions of the foot, particularly on the sole. There are various methods for applying pressure. 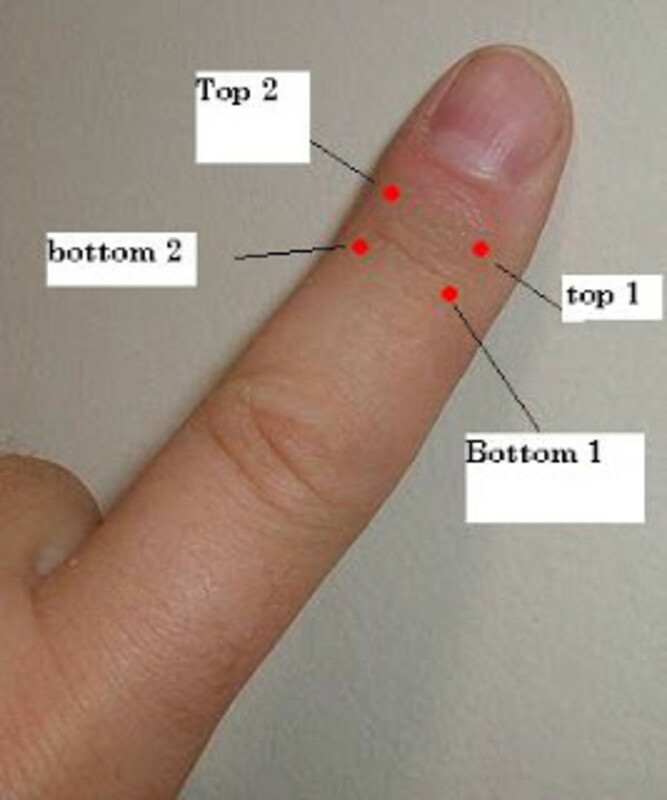 Two common techniques include the utilization of a physical object like a short, wooden stump, or the use of bare hands to apply pressure with the thumbs, fingers, palms, and knuckles. Foot reflexology uses a combination of these methods. I had my first experience during the 80s when foot reflexology started to gain popularity. During those years, the main method of applying pressure to the soles and toes was with the aid of a short, wooden stump. Nowadays, I notice that most foot reflexology professionals use only their bare hands. 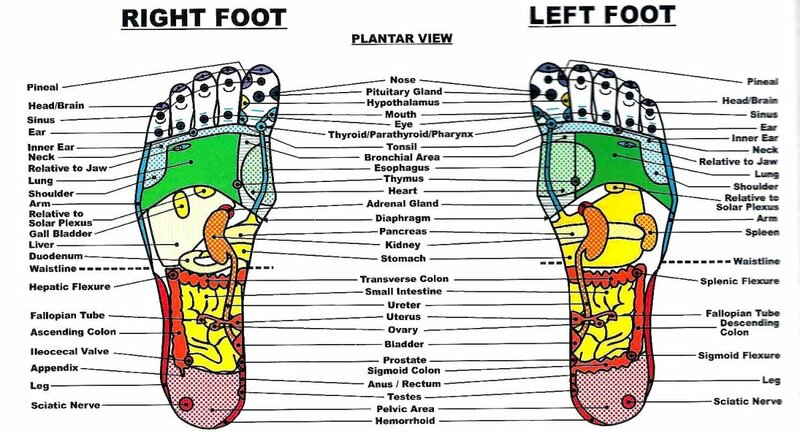 Foot reflexology is based on the belief that there is a connection between the points in the soles of the feet and the vital organs and glands of our body. 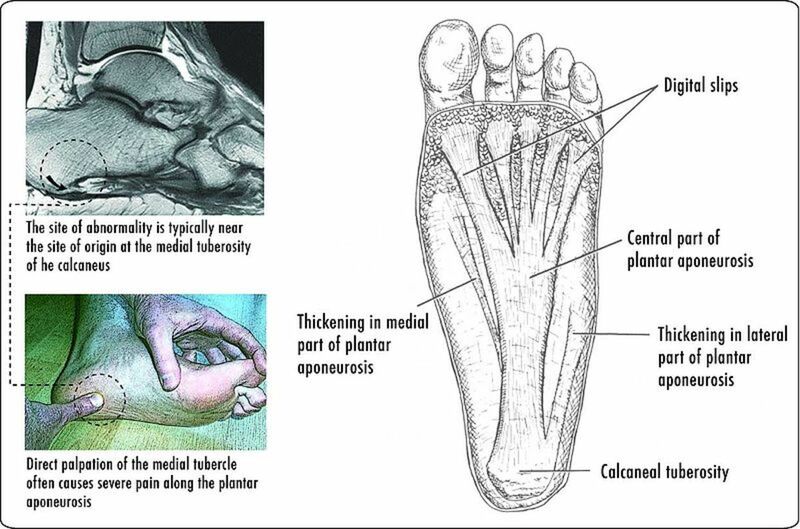 If there is acute pain at a specific point on the sole where pressure is applied, the corresponding vital organ is likely weak or has problems. For first-timers, an authentic foot reflexology massage is not going to be pleasant. I am writing from my own personal experience. If you feel acute pain at certain points when pressure is applied, as mentioned before, this is often an indication that your corresponding organs are weak or may be having problems. Real foot reflexology is not in any way relaxing and comfortable, believe me. From my personal experience, you can use foot reflexology on yourself. It is, in a way, a free do-it-yourself health regimen that you can perform at any time in the comfort of your home. The effectiveness of foot reflexology is based on the belief that the entire sole of the foot contains acu-points which connect the vital organs and glands of the body through the qi meridians; qi supplies energy to the organs. By massaging and applying pressure to these acu-points on the soles, qi energy will flow to the respective organs. 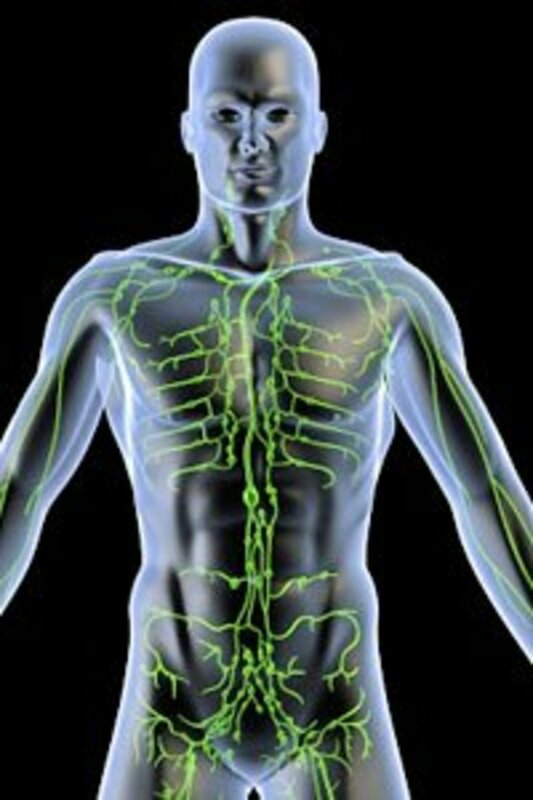 Qi energy flow thereby energizes the targeted organs and keeps them healthy. Foot reflexology is thought to relieve body tension, improve blood circulation, and help maintain a strong immune system. Father Josef Eugster is a Swiss Catholic priest who has been living in the unlikely location of Taiwan for over thirty years. He did not gain much success as a preacher, but his health problem brought him fame. At that time, Father Josef was suffering from rheumatoid arthritis in his knees. In 1977, he was given a book, Good Health for the Future, written by a Swiss nurse Hedi Masafret about reflexology. From there, he taught himself foot reflexology and subsequently healed himself of arthritis. He began to share his knowledge on foot reflexology with his parishioners, and as the saying goes, the rest is history. Father Josef later wrote a book on his method of reflexology, and this was the start of the now famous Rwo Shur Health Method of foot reflexology. The method is recognized throughout the world by the title "Rwo Shur," which is the Chinese name for "Josef." The Rwo Shur Method identifies the person’s health problem(s) and correlates appropriate pressure points to apply to the affected areas. Each session lasts about 35 minutes. Based on the theory of foot reflexology, foot reflexology paths were developed. This consists of a walkway or path with an embedded surface of small, protruding pebbles. 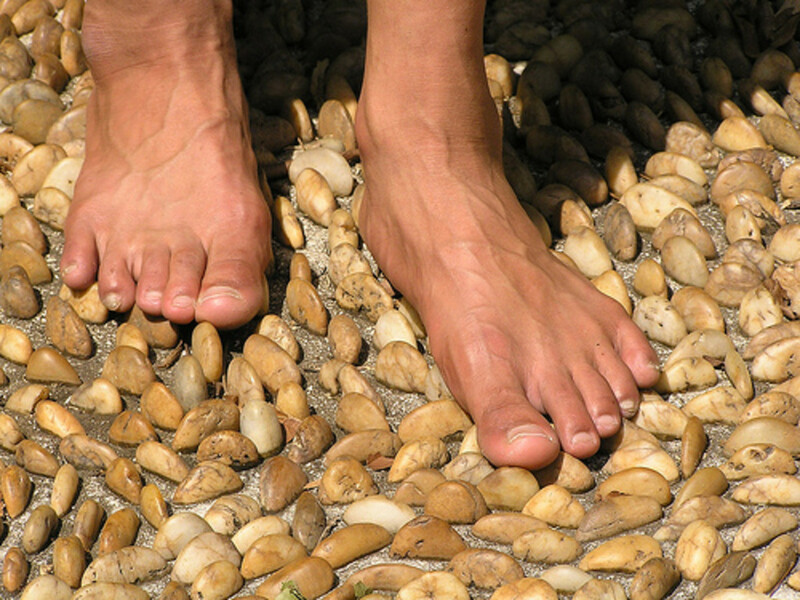 When you walk on the surface, your feet will be pressure-massaged by your own weight and movement. For the first-timer, walking on this reflexology path is an excruciatingly painful experience. Foot reflexology may lack scientific proof of its effectiveness, but that doesn’t mean it should be discounted. There are many things that science cannot prove, but the positive results count. What is more important, scientific proof or positive results? One major area of contention is the Chinese qigong. Foot reflexology is also based on the principle of qi, the unseen or ethereal energy force that energizes and revitalizes our bodies. On the count of statistical probability, can billions of people who believe in the existence of qi be wrong? Maybe, or maybe not. From my personal experience, I know there are some points on the palm that when pressed can provide relief. For example, my mother who was a Chinese physician used to press the "V" point at the back of the palm between the base of the thumb and the first finger of babies and young children. This point is called "hegu" (合谷穴) in Mandarin Chinese. Massaging this point can alleviate headaches, fevers, sore throats, laryngitis, and nasal sinusitis. This technique is also thought to prevent apoplexy (unconsciousness from cerebral bleeding). 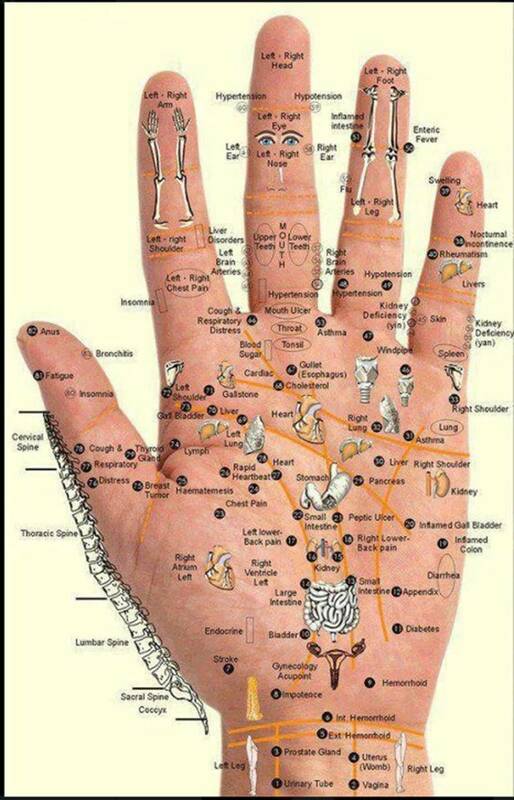 Locate the corresponding pressure point for your ailment. Apply pressure with your thumb for 5 seconds and release for 3 seconds. Repeat for 2 to 3 minutes (repeat for 5 to 10 days). If this works for you please share your story in the comments section below. The information provided in this article is sourced from the internet, from friends, contacts, and from personal experience. As I cautioned in my article, not every remedy will work for everyone, but just the same can be said for conventional medical treatment. Outcomes very much depend on the constituents of the person and the conditions particular to that person. The information provided in this text does not make claim to total accuracy and reliability, nor do these methods intend to cure everyone. The purpose of this article is to inform visitors that there are alternative cures for all ailments. You are, therefore, advised to consult your registered medical physicians as a matter of due diligence. I have been giving myself foot massage for a while now and note the over whelming feeling when I do hit a pressure point. I find it interesting that there's a pressure point for the lungs so you've inspired me to read more into that given I have asthma and recovering from multiple episodes of pneumonia. Thank you for this. I make sure to massage both hands and feet every night before sleep. My sister is a message therapist and taught us how to do it correctly. It has worked for me and relieves stress. 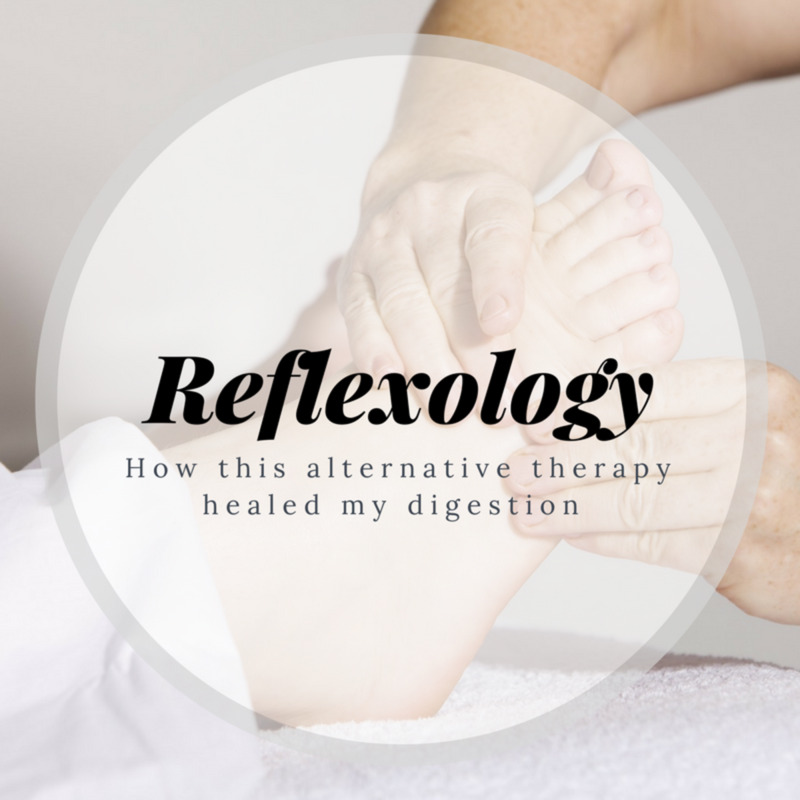 I like reflexology,in my opinion it can relief many pains and open our mind to changes.I will try one day many sessions, I believe in this old practice. Anytime we can go the natural way I am for it. I am against prescription drugs as a first solution...Not totally. I think we can often cure our own maladies. Just my opinion. Great huband voted up. Yes, very easy. Just apply pressure on the soles of your feet.